Wolong Panda Preserve was destroyed by a a very large earthquake 7 years ago. They are rebuilding it but the latest information has it that it will not be completed until late 2014. 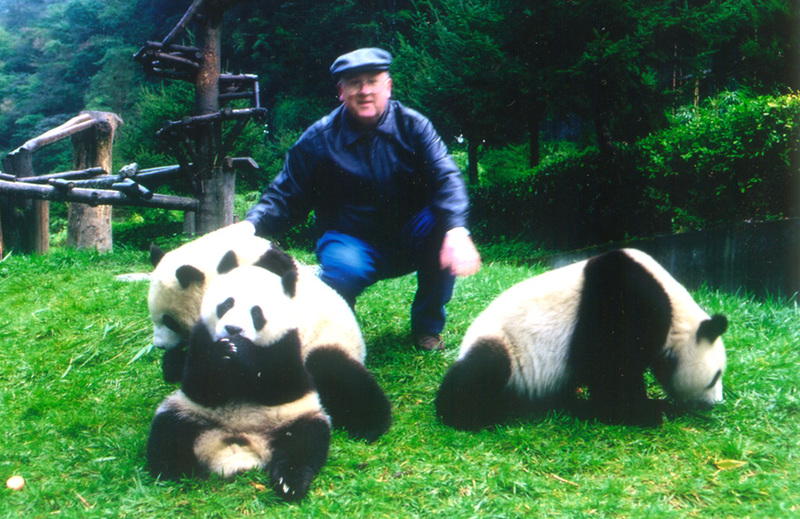 Meanwhile it is fortunate that the Panda Experiment Station was updated just shortly before that and is located just outside of Chengdu in Sichuan province. The photo here is of me at Wolong just before the earthquake playing with 2 year old Pandas. At the Experiment Station you can have your photo taken with a young Panda with a donation of about $100. for a few minutes to handle if you are able and to have photos taken with them. They do have large claws however they are like playing with young children who squirm and have a bounty of Energy. It is best to visit the Pandas in the mornings as they usually sleep all afternoon and are less active. Click on the photo for a full screen view.